‘St. Isaac’s on a Frosty Day’ by Ivan Aivazovsky – £1.13m including premium at Christie’s in 2004. Image: Christie's Images Ltd 2019. Alexis Tiesenhausen, international head of Christie’s Russian art department. Image: Christie's Images Ltd 2019. While selling works of art to Russians was not something new to Christie’s – James Christie himself famously negotiated the sale of Sir Robert Walpole’s collection to Empress Catherine the Great in 1779 – Tiesenhausen says that Russian buying was “non-existent” on the international art market at the time Christie’s opened its first Russian art department in Geneva in 1969 (the first dedicated sale took place the following year). 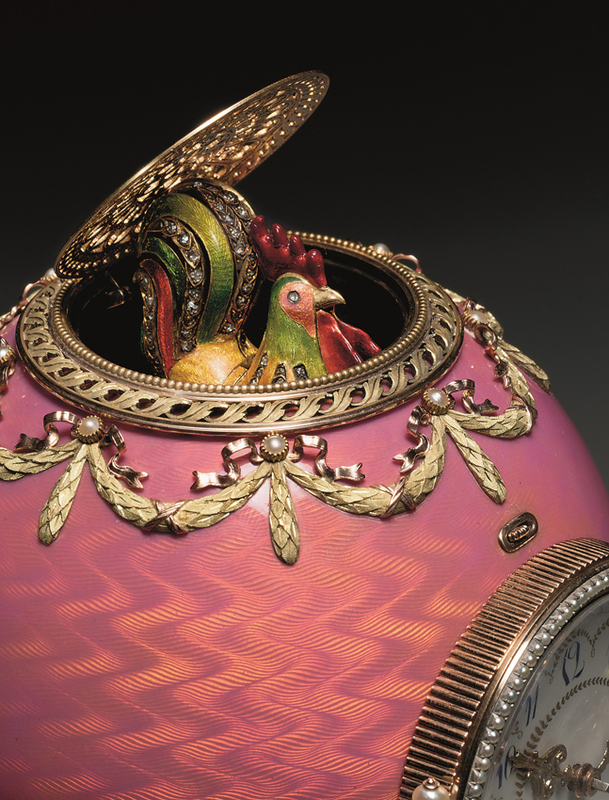 Areas like Fabergé had been well furrowed – Christie’s held a dedicated sale at their King Street premises back in 1934 – but the market back then primarily comprised non-Russian collectors. This was still largely the case 52 years later when the auction house held its first specialist sale of Russian pictures in London in 1986. The great shift in the market came over a decade later when a new class of wealthy asset owners in post-Communist Russia began to vigorously plant money into art and antiques. The rise of Russian spending power grew in the late 1990s and then became something of a phenomenon in the mid-2000s with the London sales of Russian art reaching an extraordinary peak in 2007. In 2008, with a sense that the sector was overheating and a wider downturn hitting the art market, selling rates and overall totals dropped dramatically – in some cases by half. Eleven years on, despite some recent signs of recovery, the totals are yet to fully reach their pre-crash levels. Nevertheless, the two dedicated Russian auction series held in London in June and November remain areas where significant sales of paintings, works of art, Fabergé, jewellery, porcelain and militaria take place. 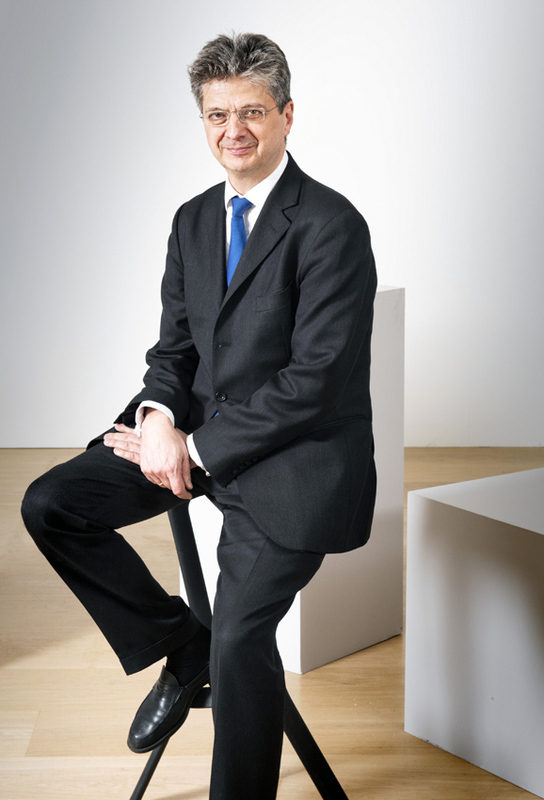 While few areas of the market have undergone such large changes, the fact that this sector has maintained itself as one that straddles many different collecting fields is no doubt why the long-serving Tiesenhausen says his department is “perhaps the most unique at Christie’s”. With Christie’s now marking 50 years since the launch of a dedicated department for Russian art, featured here are 10 lots sold by the firm that underline the huge shifts that have taken place in the sector. 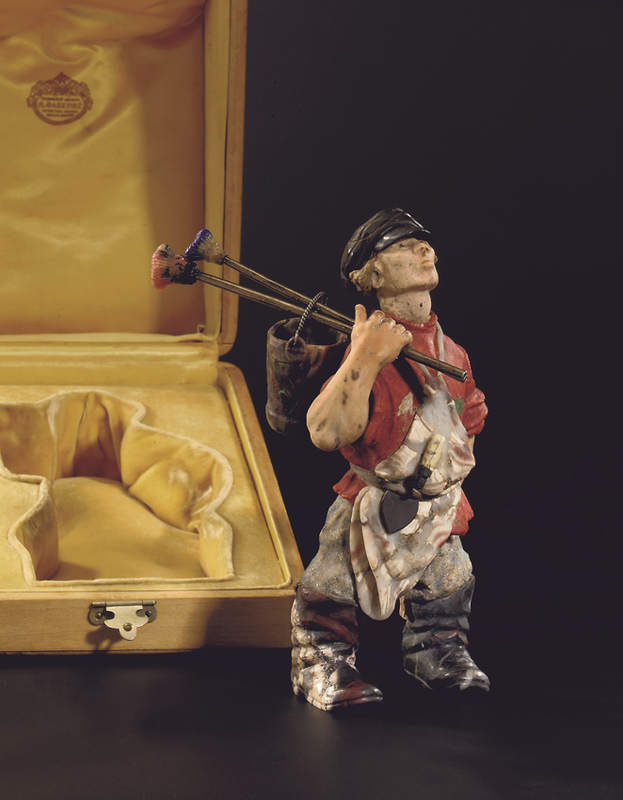 Fabergé carved hardstone model of a street painter – £845,250 at Christie’s in London in November 2003. Image: Christie's Images Ltd 2019. Showing the variety of Fabergé creations, this carved hardstone model of a street painter was described by Franz Birbaum, head master of the Fabergé company, as one of ‘the most remarkable stone creations’ to exist. It was partly made for comic effect – the baggy trousers and oversized boots strike a contrast against the lapis-lazuli at the base of the bucket, the rhodonite rod over his right shoulder and his sapphire eyes. It sold at £845,250 at Christie’s in London in November 2003. Works by Ivan Aivazovsky (1817-1900) are something of a staple on the auction market but, in November 2004, St. Isaac’s on a Frosty Day surpassed a significant barrier by becoming the first picture to make over £1m in a Russian art sale in London. 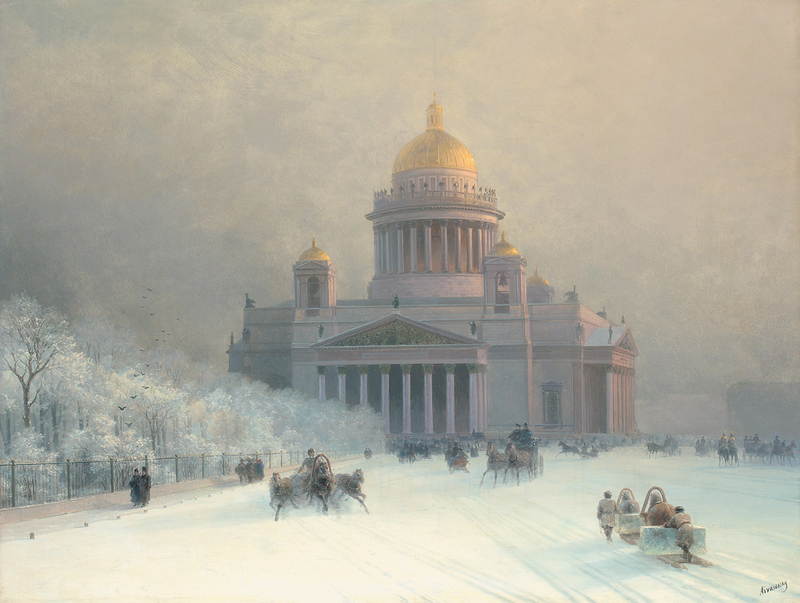 The picture shows the St Petersburg landmark in the snow, and represented a more unusual subject for the artist who produced numerous paintings of mariners battling wild seas. It sold for £1.13m including premium. The so-called Rothschild Fabergé Egg which sold at Christie’s in November 2007 for £8.9m (including premium) became the most expensive piece of Fabergé, most expensive timepiece, and most expensive Russian work of art ever sold at auction at the time. It was bought by Alexander Ivanov, the founder of the Fabergé Museum in Baden-Baden, the first private Russian-owned museum outside of Russia. 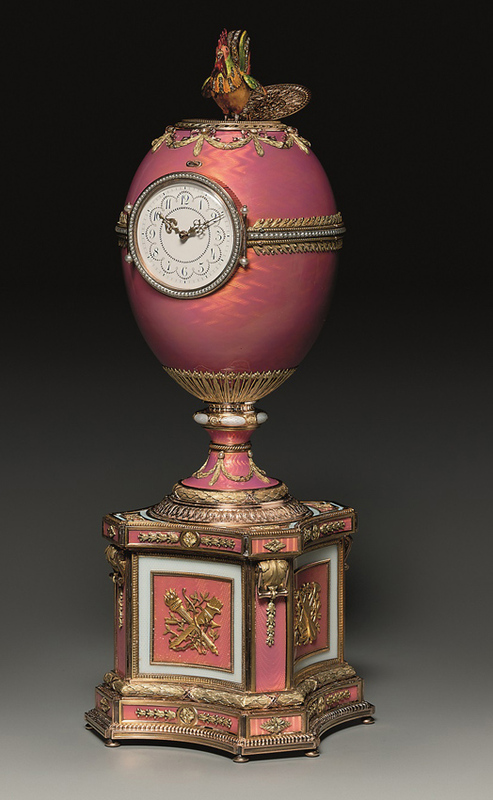 The 10.5in (27cm) high egg was made in St Petersburg in 1902 by Fabergé workmaster Michael Perchin and was one of only three large Fabergé eggs incorporating both a clock and an automaton inspired by the famous ormolu automaton peacock egg in the Winter Palace. This example was a gift from Baron Edouard de Rothschild's elder sister Beatrice Ephrussi to her brother's fiancée, Germaine Alice Halphen on her engagement in Paris. 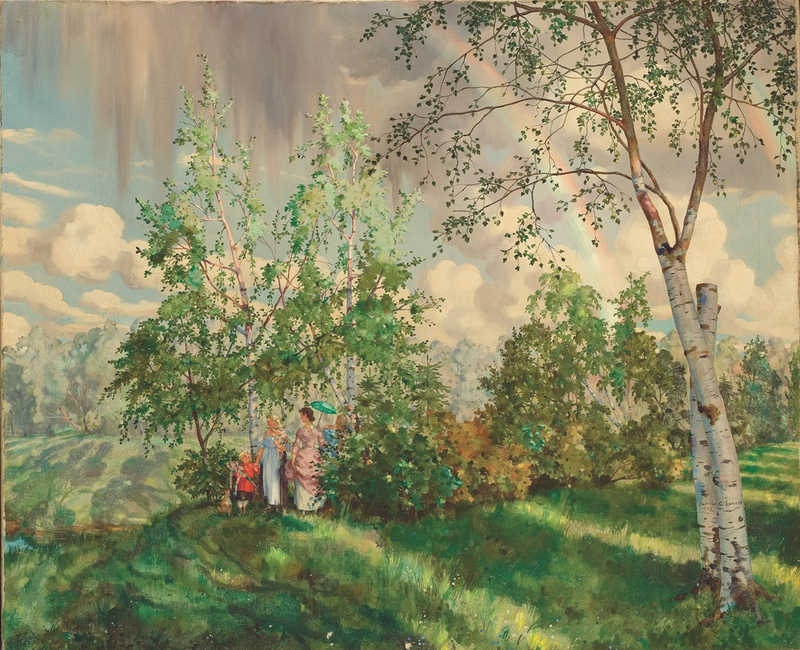 ‘The Rainbow’ by Konstantin Somov – £3.72m including premium at Christie’s in 2007. Image: Christie's Images Ltd 2019. Christie’s sold the picture that Alexis Tiesenhausen described as “the jewel in the crown” of Konstantin Somov’s oeuvre in London in 2007. Formerly in the collection of the artist’s muse Boris Snejkovsky, The Rainbow shattered a £400,000-600,000 estimate and sold for £3.72m including premium, setting a record for the artist. 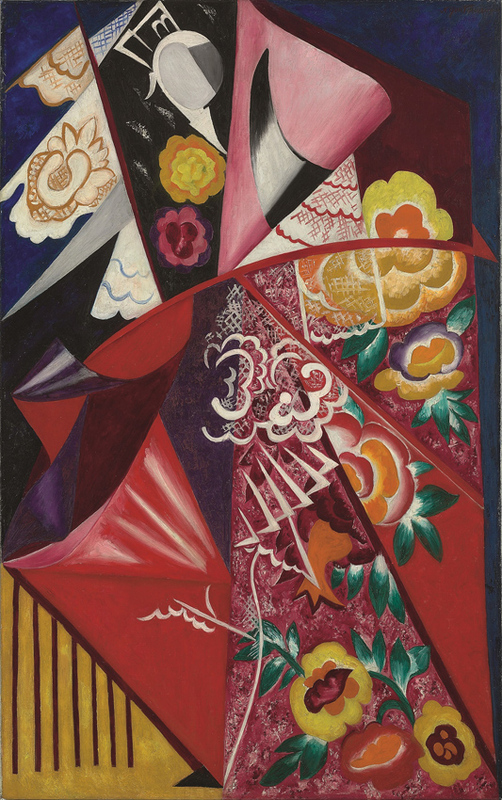 ‘Espagnole’ by Natalia Goncharova – £6.43m at Christie’s in February 2010. Image: Christie's Images Ltd 2019. In 1916, Natalia Goncharova, made her first trip to Spain to join Serge Diaghilev and his Ballets Russes. The inspiration she derived from the visual culture of the country was clear in works such as Espagnole, a work that sold at Christie’s in London in February 2010. Although the Russian art market was still recovering after the 2008 crash, the picture sold at £6.43m including premium, setting an auction record for a female artist that stood for three years. 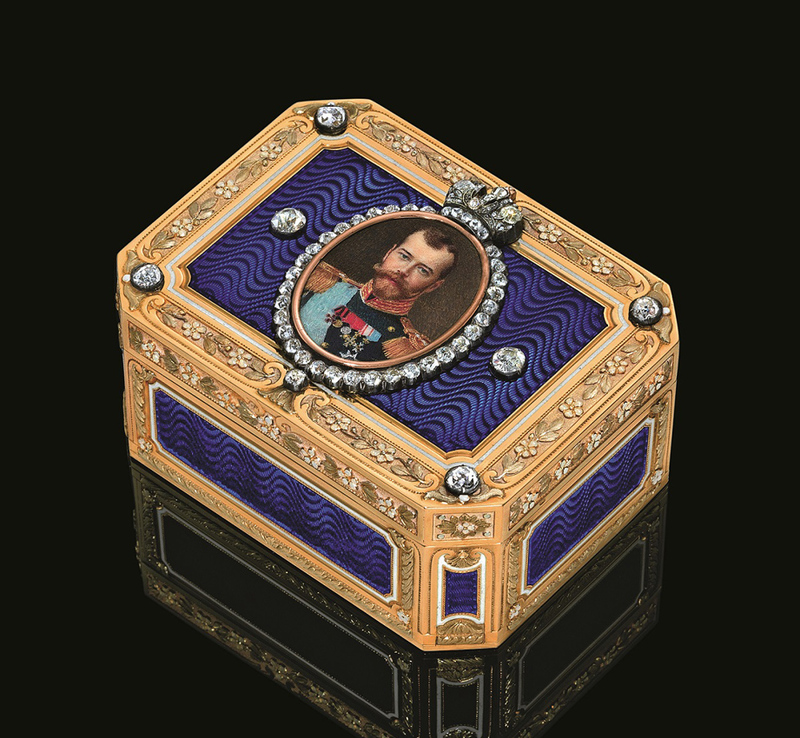 Jewelled Fabergé Imperial presentation snuff box – £937,250 including premium at Christie’s in November 2010. Image: Christie's Images Ltd 2019. This Imperial presentation snuff-box was among the highlights of the prestigious Fabergé collection of Malcolm Forbes (1919-1990). It was the last box ever delivered by the Imperial Cabinet on behalf of the Tsar Nicholas II on 5 May 1917, two months after his abdication in March. Made by Fabergé workmaster Henrik Wigström, it displays a portrait miniature of Tsar Nicholas II in the uniform of the 4th Imperial Family Rifle Guards surmounted by a rose-cut diamond crown. Offered at Christie’s in London in November 2010, it sold for £937,250 including premium. ‘The Yellow Sultana’ by Léon Bakst – £937,250 at Christie’s in May 2012. Image: Christie's Images Ltd 2019. Like Natalia Goncharova, another artist associated with the Ballets Russes was Léon Bakst (1866-1924). While the theatrical studies that he had other artists made for the company have remained an area of strength despite the vagaries of the wider Russian art market, this picture, The Yellow Sultana, was a rather different proposition. 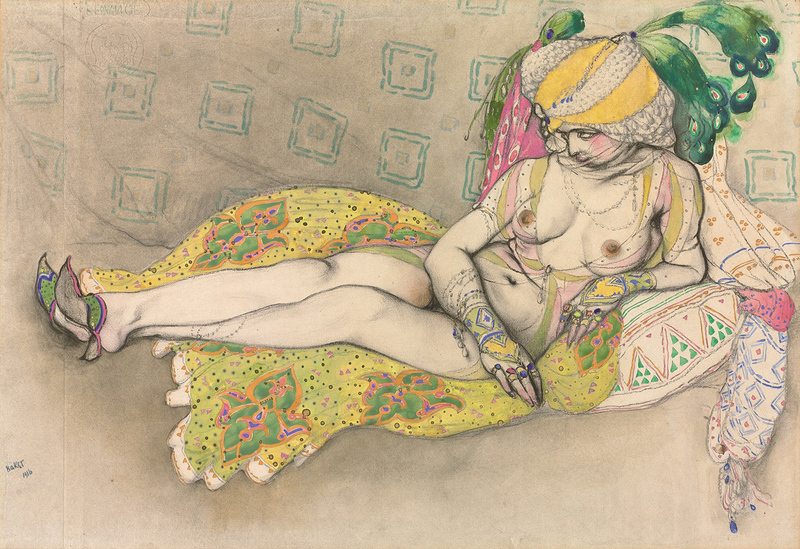 Although executed at the height of Bakst’s creative collaboration with Serge Diaghilev, the watercolour appears to depict a fantasy figure and represents a departure from the artist’s familiar designs for the theatre and comparatively more restrained academic studies of the female form. Offered at Christie’s in London in 2012, it sold at £937,250 and set an auction record for the artist. 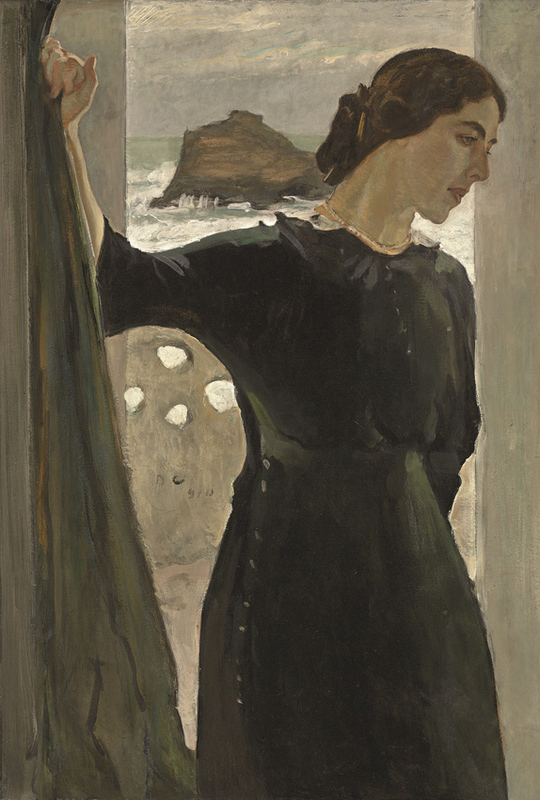 ‘Portrait of Maria Zetlin’ by Valentin Serov – £9.27m including premium at Christie’s in November 2014. Image: Christie's Images Ltd 2019. Valentin Serov’s (1865-1911) portrait of his friend Maria Zetlin (1882-1976), the doyenne of Russian émigré life in Paris, was sold at Christie’s in November 2014 by the Israeli municipality of Ramat Gan to benefit its museums. It became the most expensive painting sold in a dedicated Russian art sale when it made £9.27m including premium. ‘Suprematist Composition’ by Kazimir Malevich – $85.8m including premium at Christie’s New York. Image: Christie's Images Ltd 2019. 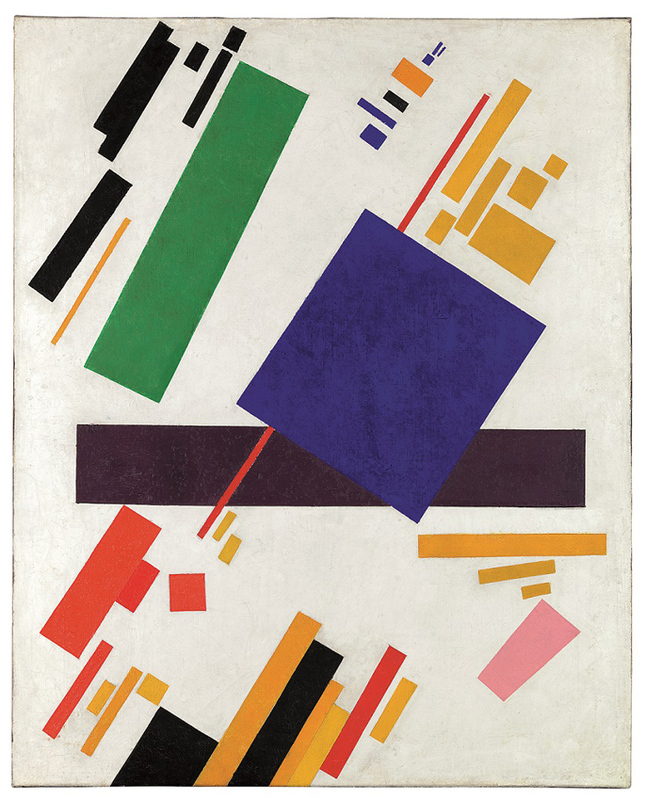 Kazimir Malevich’s Suprematist Composition, which sold for $85.8m (£63.3m) including premium at a Christie’s Impressionist and Modern evening sale in May 2018, currently holds the record for the most expensive Russian picture sold at auction. With its simple abstract forms set against a white background, it was the kind of geometrical composition that shocked audiences in the early 20th century and was regarded as the most important work from the artist’s Suprematist series ever to appear at auction. ‘The accordion player’, a plate by The Imperial Porcelain Factory, St Petersburg, 1896, and The State Porcelain Factory, Petrograd, 1923. It sold for £150,000 in November 2018 at Christie’s in London. 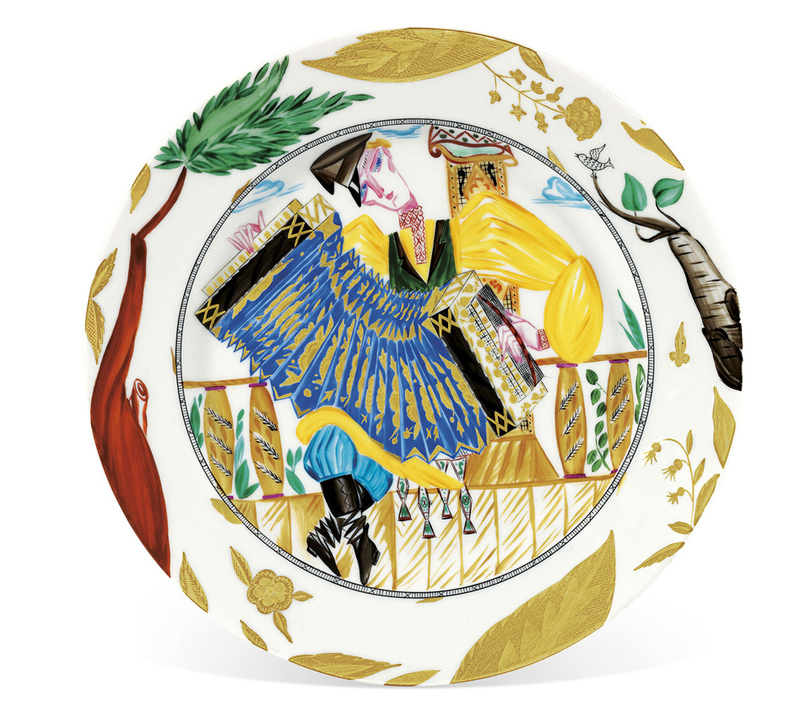 The plate known as ‘The Accordion Player’, after a design by Alexandra Shchekotikhina-Pototskaya and produced at The State Porcelain Factory in Petrograd up to 1923, mixed a traditional subject from Russian folklore with the exuberant colours of Soviet porcelain. This example sold for £150,000 in November 2018 at Christie’s in London. With another design after Shchekotokhina-Pototskaya titled ‘The Bellringer’ fetching £20,900 in 1988, it showed the development of the market over the intervening 30 years.